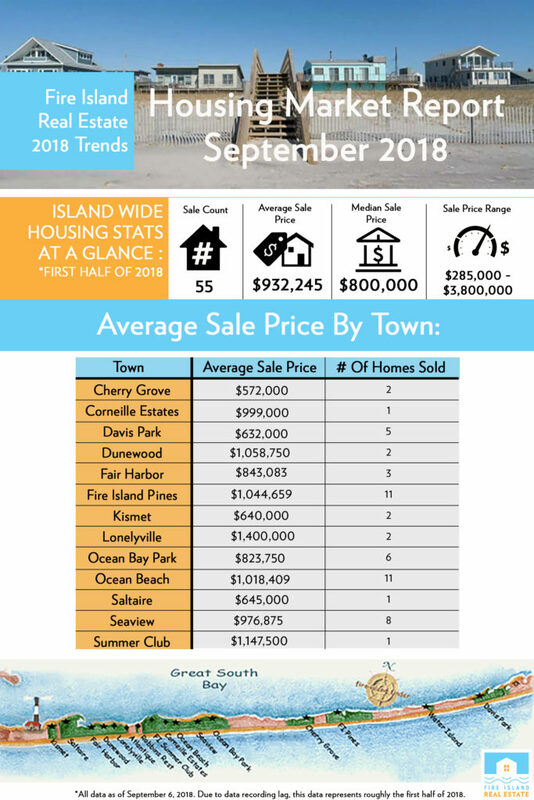 Fire Island Real Estate has gathered data on the Fire Island housing market so far in 2018. Check out our infographic below for Fire Island wide housing stats. All information furnished regarding property for sale or rent is from sources deemed reliable, but no warranty or representation is made as to the accuracy thereof and same is submitted subject to errors, omissions, change of price, rental or other conditions, prior sale, lease or financing or withdrawal without notice.